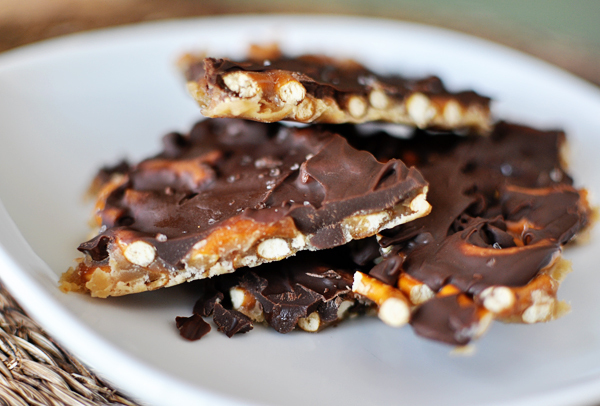 Salted Chocolate Toffee Pretzel Bark recipe | What would helen do? Need pix of the new baby doggy! Is Betty doing ok? Kathy told me you were going to see her when you got back from getting the new baby. We are going to see Betty today. Will keep you posted! Oh yum! I could totally veganize this!